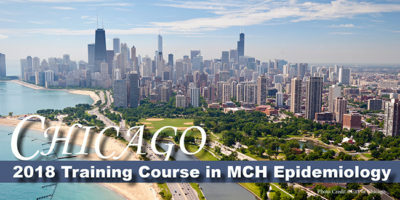 The Training Course in MCH Epidemiology rotates every year between a course geared toward basic to intermediate skills in statistics and epidemiologic methods and a course geared toward intermediate to advanced skills. The archive provides distance and on-site materials from the last two years to ensure materials are available for all professionals. The 2018 Training Course in Maternal and Child Health Epidemiology took place June 25-29, 2018 in Chicago, IL. The course was geared to individuals with intermediate to advanced skills in statistics and epidemiologic methods. Links will be available soon. See 2016 materials below for the previous Intermediate to Advanced training course. The 2017 Training Course in Maternal and Child Health Epidemiology took place June 12-16, 2017 in Clearwater Beach, FL. The course was geared to individuals with basic to intermediate skills in statistics and epidemiologic methods. Access pre/post-training webinars and materials in this archive. The 2016 Training Course in Maternal and Child Health Epidemiology took place June 6-10, 2016 in San Diego, CA. The course was geared to individuals with intermediate to advanced skills in statistics and epidemiologic methods. Access the webinars and materials in this archive.